Should Your Business Be Using Video Content? Just when we think we’ve figured out how our digital presence is performing, things change… again. The innate nature of digital media is that it has the ability to pivot and adhere to the ever-changing confines of accepted use on the internet. Gone are the days when we started every Facebook post with “Meg Kerns is…” In their place stands a preference for posting articles, value added content and updates with blog-like acuity. Businesses wouldn’t dream of posting an ‘is’ update on Facebook for fear of being labeled ‘digitally inept.’ So that begs the question, why are they fighting against the next trail? Is Video Here to Stay? Video is assumed to be the next bandwagon effect of digital marketing. If you look deeper, we've pointed toward video since the birth of the digital sphere. Books such as The Victorian Internet by Tom Standage have taught us much. Highlighting the ability for digital media to move forward as our greatest advantage in learning and growing. Utilizing video as a means of storytelling and relationship building from a business perspective is almost obvious, so why the push-back? Put yourself in the shoes of a current business owner. They hear that they must have a digital presence, use photos and curated content of a visual sense and now their primary focus should be video, they may be understandably burnt out. A significant number of business owners are planting their feet behind their own lines in the sand and refusing to incorporate video. This being to their ultimate detriment. A business’ followers are finding content primarily on their home feeds when they scroll through Facebook. It is the job of the business to create content that causes the user to pause. They then hope to digest the content ultimately leading to some sort of positive action. Originally, businesses were using wording along with colorful, eye-catching images to gain the attention of followers and potential clients/customers. Look at the feed of the majority of Facebook’s users, one might notice an abundance of colorful, eye-catching content. This overabundance makes most people immune to its certain charms. Enter video; Facebook has the advantage of automatically setting videos to begin playing. This forces the user’s eyes to momentarily pause in order to register the moving images. That may be all it takes to make a decision in continuing through the video’s entirety or scrolling past. If a business’ video is entertaining or interesting enough they're hooked. They’ve captured their audience and can then request a call to action that is favorable to their goals. Without this video engagement, business posts are relying on the follower entirely instead of pushing them toward a specific action. If given two options, a stagnant yet well-crafted image versus a mediocre video, the video will almost always outrank the image in terms of engagement and visibility due to the platform’s preference for video content. In the end, if a business wants to remain relevant, transparent and authentic they need to begin utilizing video or risk burial under the myriad of content being pushed out every minute vying for attention. So, let us ask again- why aren't you using video? If you'd like to learn more about using video as a business, please jump over to YouTube and check out the Business BootyKick Series! 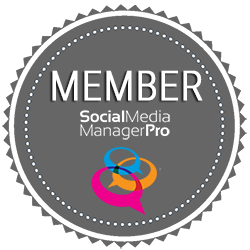 I look forward to answering any of your questions and offering you a free social media diagnostic to get started!